Get a tour of Galaxy's Edge at DisneyLand !!! Star Wars fans can continue to use their fandom for a good cause with this year’s Star Wars: Force for Change philanthropic initiative. 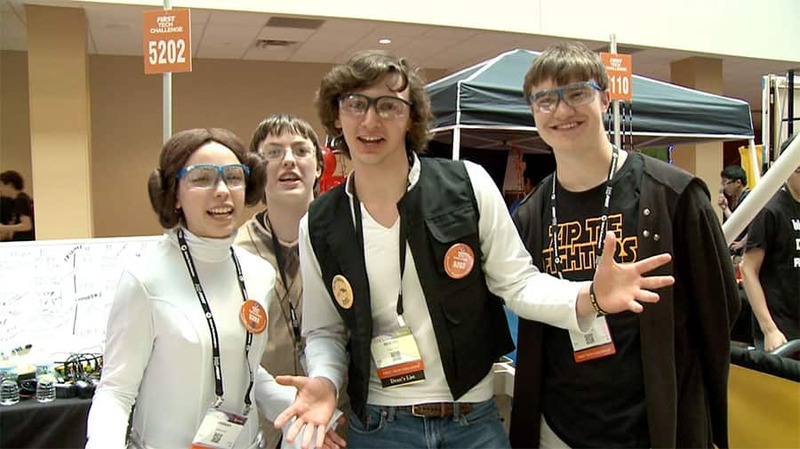 Disney and Lucasfilm are teaming up with the global K-12 nonprofit robotics organization, FIRST, to inspire the next generation of heroes and innovators. Through Star Wars: Force for Change, we will be providing financial, in-kind and mentorship resources to help expand access to FIRST programs for more students around the world! The team and I at Walt Disney Imagineering have been long-time supporters of FIRST, providing mentorship, engineering support and creative insights for years. We actually hosted the annual FIRST championship at EPCOT from 1995 through 2002. Here’s how you can get involved: Simply retweet this video from the official Star Wars Twitter account with the hashtag #StarWarsFFCSweepstakes and you’ll be entered for a chance to win a vacation to visit Star Wars: Galaxy’s Edge at Disneyland Resort! This vacation will include a guided tour by a Disney Imagineer through the land, so you can see Batuu from an insider’s point of view! The best part? You’ll be helping spread awareness of FIRST and playing a role in empowering young people to shape the future. To learn more about Star Wars: Force for Change and FIRST, visit StarWars.com/ForceForChange.